7 Birchin Lane - iNGLEBY TRICE. Birchin Lane has been recently pedestrianised and resurfaced with granite paving complementing the rich historic feel of the area. The building is less than 100 metres from Bank and Monument stations served by the Central, Northern, District and Circle and Waterloo & City lines, main line and DLR. 7 Birchin Lane is one of the latest refurbishments by BMO Real Estate Partners. 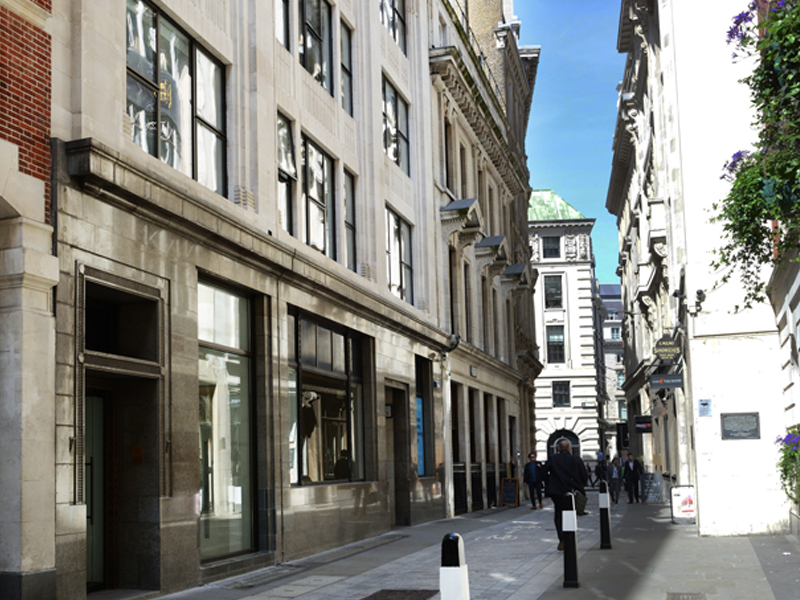 It has been transformed into a sophisticated office building providing high class office accommodation in the heart of the City of London. The building entrance features Lovell Purbeck herringbone tiled flooring, which is further extended into the individual lift lobbies; a bespoke reception desk with a leather top detail and an artisan-made anodised aluminium panel feature wall.